Policymakers and resource managers often want scientists to provide forecasts of future conditions. But even when the natural dynamics of a system are well-understood, that may be impossible because trajectories of human activity are unpredictable. Scenarios offer a way to discuss possible futures that is concrete enough to be useful, without being unrealistically specific. Usually, they are developed through a collaborative process involving many expert perspectives and fleshed out with maps, graphics, and timelines. 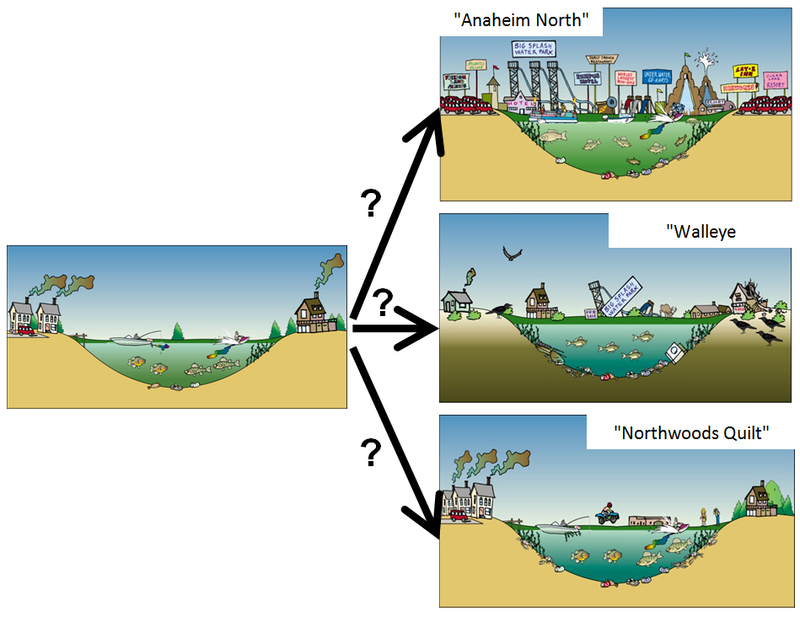 But producing the scenarios is really only the beginning of a process that continues through public presentations, community discussions, and—often—computational modeling. When stakeholders trust the process of scenario development, these plausible futures provide common ground for discussing how possible outcomes intersect with values. By subjecting the scenarios to community scrutiny, scientists can narrow the range of possible starting conditions for ecosystem models and increase the level of trust in outputs. Combining plausible predictions of human behavior with detailed understanding of ecological processes and long-term data forms a strong foundation for predictive modeling. Several LTER sites work extensively with scenarios and the 2014 NSF-LTER symposium focused entirely on this often misunderstood tool.